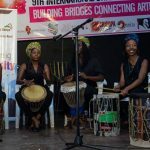 SWAN Day Kenya Celebrates Its 11th Year With Over 70 Artists! 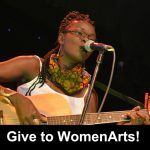 The theme of SWAN Day Kenya 2018 is Closing the Gap: Connecting Artists, and over 70 female artists will participate in the day-long festival this year. This entry was posted in Art Forms, Dance, Music, Spoken Word & Poetry, SWAN, Theatre, Visual Arts on March 30, 2018 by Martha Richards. One of Houston’s most celebrated Hollywood movie directors, Michelle Mower, will be sharing her industry insights at SWAN Day Houston this Saturday. This entry was posted in Film, SWAN, Video, Visual Arts on March 30, 2018 by Martha Richards. 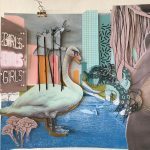 SWAN Day Milwaukee, now in its third year, invited women artists to explore women’s artistic and spiritual connections to nature, and how these roots nourish one’s work, activism and daily living. This entry was posted in Dance, Music, Spoken Word & Poetry, SWAN, Visual Arts on March 22, 2018 by WomenArts. Musica Femina will be an ambitious exhibition designed to honor women composers with an immersive installation of art, architecture and sound at Vienna’s Orangerie at Schönbrunn Palace . 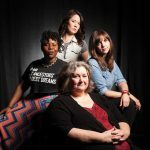 This entry was posted in Music, Women Leaders in the Arts on March 15, 2018 by Sarah Greenman. 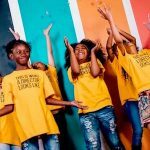 Made In Her Image is a non-profit dedicated to advancing girls and non-binary youth of color in film, media, and technology. It’s goal is to nurture future film pioneers and revolutionaries. This entry was posted in Arts & Social Justice, Film, Video on March 9, 2018 by Sarah Greenman. 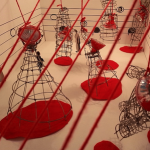 This entry was posted in SWAN, Theatre, WomenArts on March 8, 2018 by WomenArts. Sound Theatre’s 2018 season is called “The Human Family: Toward A Radical Inclusion,” and features artists living with disability in classic comedies, a world premiere, and a reading series. 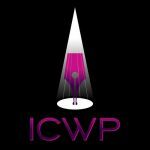 Nominations are open for The International Centre for Women Playwrights 50/50 Applause Awards, which recognize theatres that are producing women’s plays for 50% of their seasons. This entry was posted in Theatre, Writers/Literature on February 24, 2018 by Sarah Greenman. 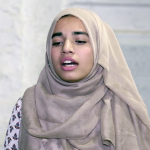 Pakistan’s Theatre Wallay is using theatre to help communities reclaim schools, movie theaters, and other public spaces which have been targeted as venues for terror. Four major American theaters have filled top leadership positions with women theatre-makers this winter. Hopefully it’s the beginning of a major shift. 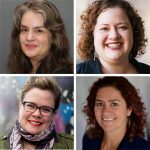 This entry was posted in Employment, Theatre, Women Leaders in the Arts and tagged Jennifer Zeyl, Marcela Lorca, Margo Jones, Nina Vance, Pam MacKinnon, Rachel Fink, Zelda Fichandler on February 14, 2018 by Sarah Greenman. 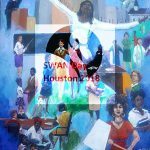 WomenArts is thrilled to announce that we will be partnering with Statera Foundation to coordinate Support Women Artists Now Day/SWAN Day 2018. 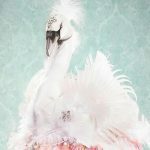 Announcing the SWAN Day Song and Photo Contests! We had so many great entries in our SWAN Day Song Contest and Photo Contest last year that we have decided to do them again! This entry was posted in Music, SWAN, Visual Arts on February 4, 2018 by WomenArts. 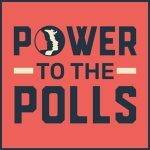 Women’s Marches and Women’s Plays This Weekend! There will be over 250 Women’s Marches this Saturday and Sunday to mark the anniversary of the protests of President Trump’s inauguration. 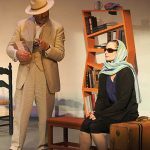 This entry was posted in Arts & Politics, Arts & Social Justice, Theatre on January 18, 2018 by WomenArts. For 23 years WomenArts has been building a powerful global community of women who are using their creativity to work for peace and justice. Please join us! 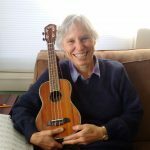 WomenArts Executive Director Martha Richards discovers the joys of playing a ukulele and the ways that creativity can help us survive tough times. This entry was posted in Arts & Politics, Arts & Social Justice, Music on December 14, 2017 by Martha Richards.